[SatNews] While these two British soldiers, who have accepted this challenge, will have access to the latest communication equipment, the fact still remains that they will be paddling in kayaks in the frigid Arctic waters... for 100 days. NSSLGlobal today announces that it is supporting two soldiers from the Royal Gurkha Rifles in a kayaking expedition around Ellesmere Island, Canada. 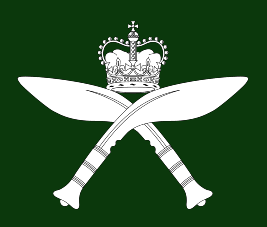 This expedition is intended to mark the 200th anniversary of Gurkha service to the British crown. NSSLGlobal, a long-time supplier of satellite communications solutions to the UK Ministry of Defence, has supplied a range of satellite equipment that will allow the two soldiers to communicate with the wider world as they undertake this challenge. 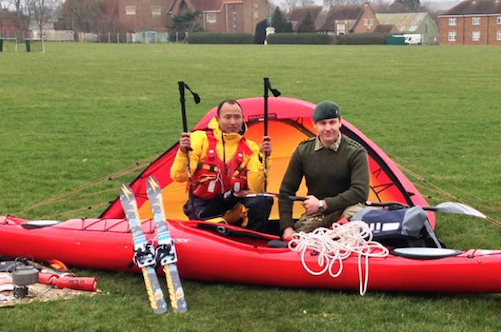 Captain Jon Armstrong and Corporal Arjun Limbu will be circumnavigating Ellesmere unpowered using Wilderness Systems kayaks. Given that this expedition will take place in one of the most remote and inhospitable areas on Earth, satellite communications will provide the only way to stay connected and establish a lifeline should a crisis occur. As such the need for a robust and reliable system is key. Equivalent to a distance slightly less than the coast of Britain, the duo will be climbing, kayaking and skiing their way across the daunting terrain in sub-zero temperatures. 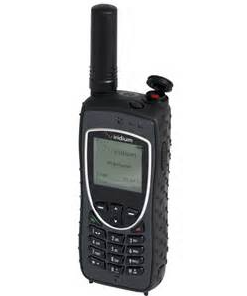 NSSLGlobal has provided Captain Armstrong and Corporal Limbu with a complementary Iridium 9575 Extreme satellite phone, an Iridium GO! 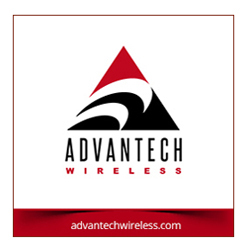 enabling data capabilities for up to five mobile devices, as well as $2000 worth of satellite airtime. This equipment is specifically designed for expeditions in harsh environments. The airtime package provided also has truly global coverage, allowing the two soldiers to communicate from the challenging Polar Region. Captain Armstrong and Corporal Limbu will also use the equipment supplied by NSSLGlobal to field questions from schoolchildren via email and Twitter. This is part of a program to inspire the next generation of potential explorers to lead an active lifestyle, partake in outdoor pursuits, and to learn more about The Arctic. Ellesmere Island is in a longitude of the Canadian territory that can only be covered by the Iridium constellation. The Iridium constellation comprises 66 satellites, (the highest number in any one constellation), in a polar orbit, ensuring truly global coverage. These satellites communicate with each other using Ka-band intersatellite links, allowing calls to be routed across the constellation to a gateway.